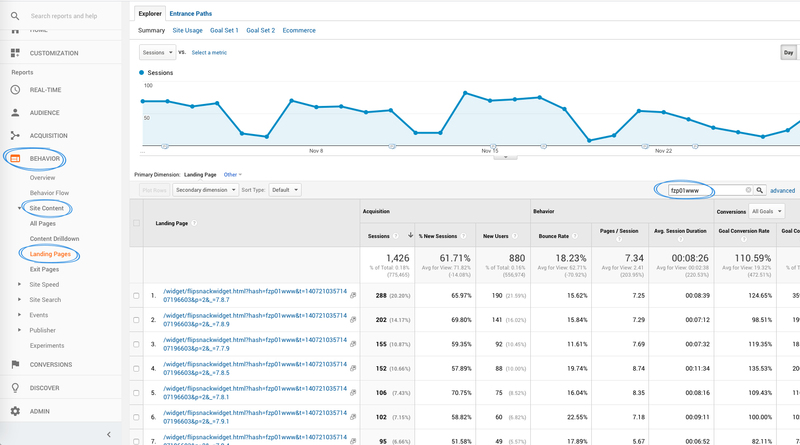 Implement Google Analytics tracking code in Flipsnack for more in-depth statistics. So you like Flipsnack's statistics but you want more granulated results. 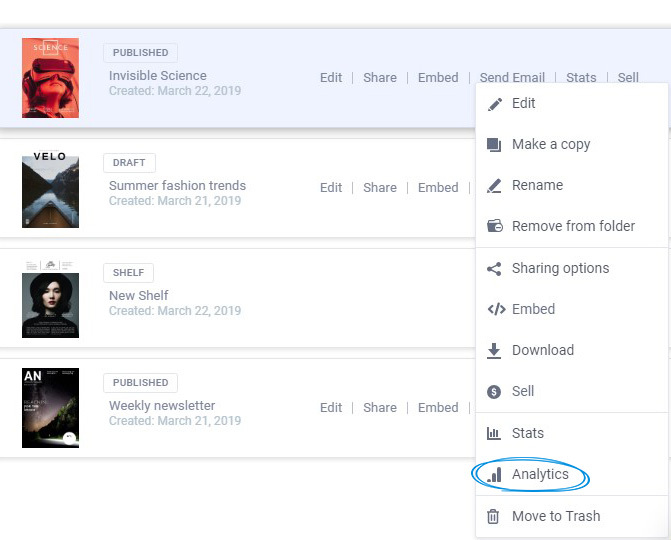 No worries, you can add Google Analytics tracking to all your flipbooks, to see visitors data and traffic stats in Google Analytics. First, you must have a Google Analytics account. Log in to your Analytics account, and go to Admin. Select the account and the property you want to integrate your flipbook with. going to Admin -> Tracking Info -> Tracking Code. Once you have located your Tracking ID, in Flipsnack, go to My flipbooks, locate the flipbook you want to integrate GA with click on the three dots and select Analytics. Important: The Tracking ID must be copied with the UA- parameter included. You can paste your Tracking ID and click on Add to flipbook. 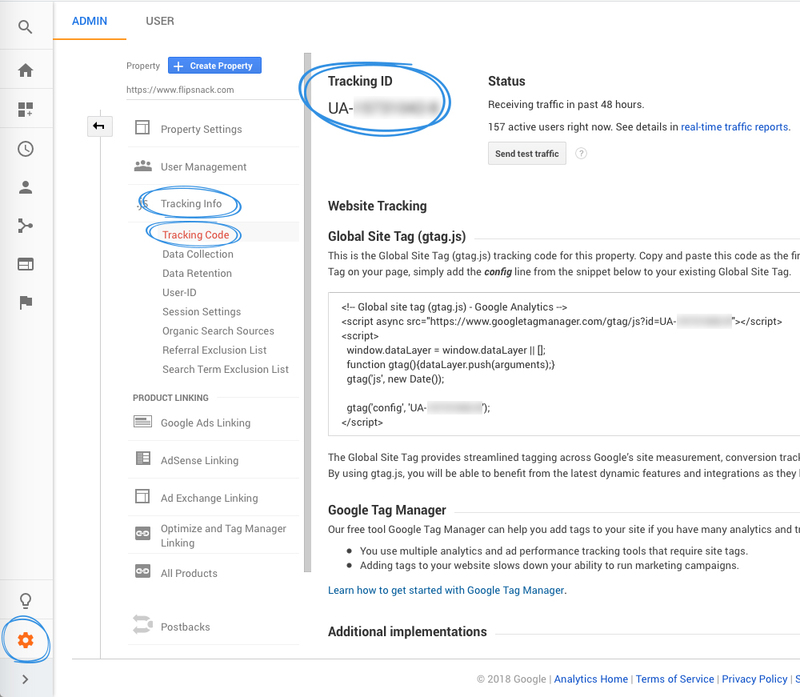 That's how easy you can integrate your Google Analytics Tracking ID in Flipsnack in order to track visitor behavior and demographics. Now, you can import our Analytics Dashboard to get a pre-configured set of charts and graphs regarding your flipbooks. Just enter your flipbook’s hash ID in the search box and hit enter. 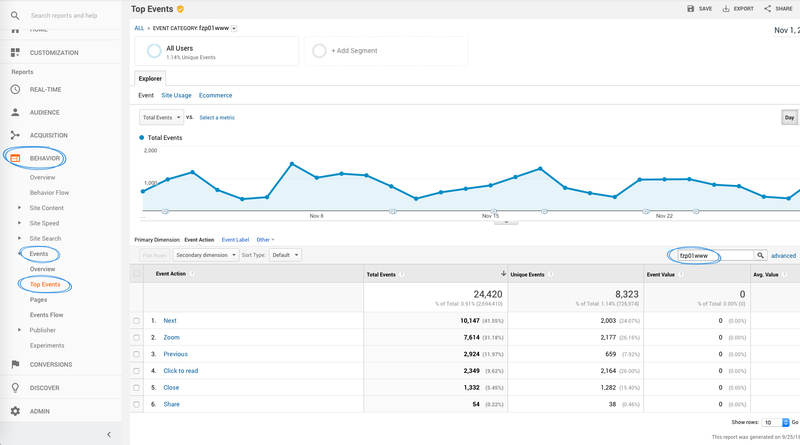 Important: it usually takes about 24 hours from the moment you integrated GA in your flipbook for results to be displayed in Google Analytics. You can also see flipbook events in Behavior - Events - Top Events. Share - shows how many times readers shared your flipbook on social networks. Important: embedded flipbooks with the same tracking code as their hosting web page will be counted twice (one count for both the flipbook and the website for each visit will appear in your Google Analytics metrics under two different URLs).